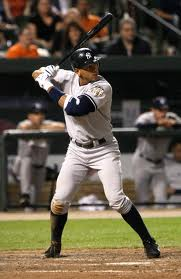 Fredric Horowitz an arbitrator cut the drug suspension of Alex Rodriguez of the New York Yankees from 211 games to 162. The decision is one the third baseman for the New York Yankees vowed to fight in a federal court. Rodriguez would also be sidelined from any games in the postseason this year under Saturday’s announced ruling, which would cost him $25 million of the remaining $86 million of his contract. In a prepared statement, Rodriguez said the suspension did not come as a surprise as he has had the deck stacked against him from the start. He called it one man’s decision that was not put in front of a impartial or fair jury, did not involve him having failed one drug test, is at odds with facts and inconsistent with the Joint Drug Agreement terms. The three-time MVP of the American League was originally suspended 211 games by Bud Selig the Commissioner on August 5. The players association in turn filed a grievance calling the discipline without just cause. The arbitrator, who became the independent arbitrator of the sport in 2012, heard the case in 12 sessions from September 30 through November 20. Despite his ban, drug rules in baseball allow Rodriguez to take part in spring training and play in his team’s exhibition games. Many have called this the end of Rodriguez’s career as he will miss an entire year and at his age with his physical condition, he would not be able to return to baseball after sitting out one full season. Some even have said that is what baseball wanted. While Rodriguez is able to fight the arbitrator’s ruling in court, it is rare that arbitrators’ decisions are overturned by judges. The union in its prepared statement said it disagreed strongly with the ruling, but added it realized the ruling was binding, final and respected the process of arbitration through the collective bargaining agreement. The Yankees also released a statement that said the team would respect the arbitrator’s decision. However, Rodriguez plans to keep up his fight by going to federal court in an attempt to clear his name.